It meant a lot of hiking, but Redline Guide Ken Hodges just completed two popular New England hiking lists. One was the New England Sixty-Seven, NE67 (which is the sum of the 14 Maine, 5 Vermont, and 48 New Hampshire “4000-footers“). It’s quite the accomplishment on its own. For Ken, though, he was simultaneously working on finishing the New England Hundred Highest, NEHH. That’s the NE67 plus thirty-three additional mountains… many of which don’t even have trails to them. 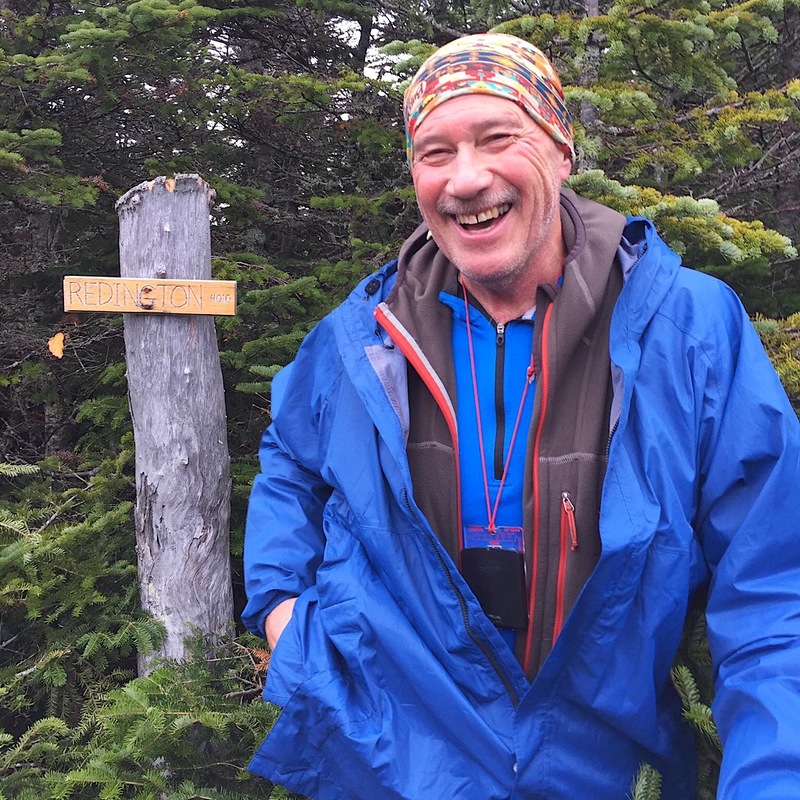 For example, Peak Above the Nubble which was guided by Ken, as well as separately hiked by guides Mike Cherim and Bill Robichaud, plus others Ken Hodges guided like Mt Nancy, Scar Ridge, Vose Spur, and even some mountains in Maine where a guest finished his NEHH with Ken’s help. Ken finished both lists on Redington Mountain (4010′). He looks happy, yes? Photo by Lynn Kessler. Congratulations Ken. It’s quite the accomplishment.